The desk calendar by Bloomingville displays the date and day of the week. With printed wooden cubes and sticks, the date allows to be arranged daily by hand, thus making for an eye-catcher on any desk or sideboard. Whether in the office or in the workplace at home, the calendar places an original accent, thanks to its natural materials and minimalist design. The English desk calendar is also suitable as a great gift for colleagues, friends or family. Individual image of the Bloomingville - Table Calendar in natural / black. 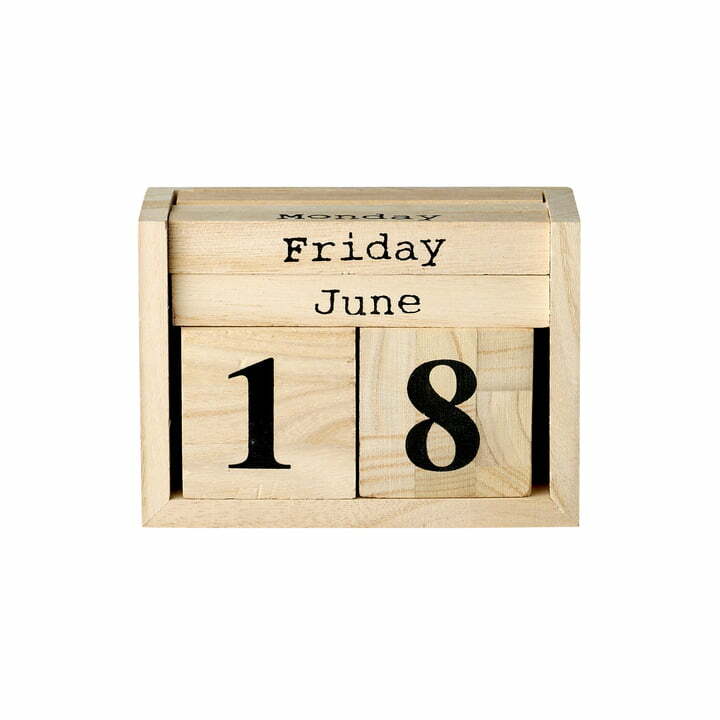 Manual calendar out of wooden cubes and sticks with date and day of the week.